Since 2004, the OPI PRO Development Sector has made two $500 scholarships available each month to students of preferred OPI Nail Technology or Cosmetology schools; each month, two winners have been chosen based on essays and personal recommendations. Additionally, AACS Member School students have a chance to win nine $500 scholarships available through www.beautyschools.org, and 17 more $500 scholarships are available through OPI various channels. Charise Hunt, a student at the Grabber School of Design in St. Louis, Mo., was one of the OPI Scholarship winners for February 2014. Hunt previously worked with special needs children for 10 years, but her dream was to turn her hobby of polishing nails into a full-time career. She says that winning the OPI Scholarship helped support her dream of becoming a nail professional. “I never expected to win the scholarship,” Hunt says. “It was a complete confidence booster. I wasn’t able to work while in school, so the scholarship provided financial assistance while also solidifying my decision to change careers.” Hunt now works at her sister’s full-service salon, Essence of Beauty, as well as at Beauty Brands. 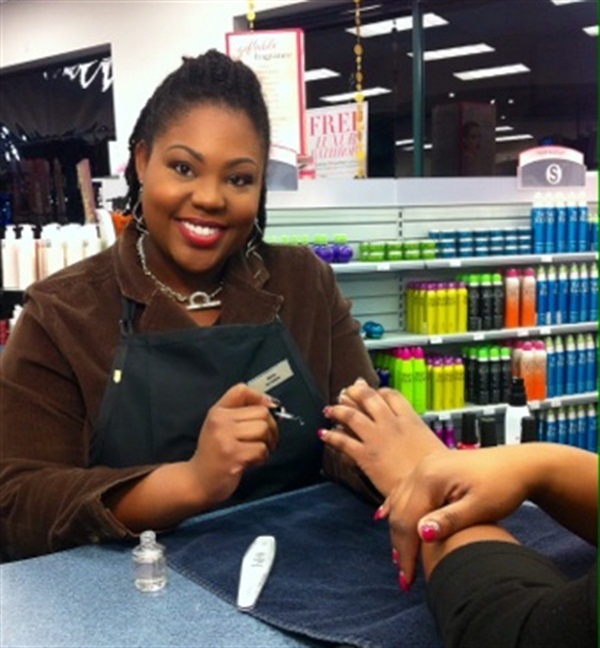 “While I love working on nails, I’ve also discovered that I truly enjoy the customer service aspect of the beauty business,” Hunt says. “It makes my day when customers leave feeling happy and good about themselves.” Follow Hunt on Instagram at #ladylacquer_llc. Students may apply now through their OPI preferred school or www.beautyschools.org.